When your blinds are ready, we will visit your property in Bridgend and fit them for FREE! Selected blinds can be installed in the Bridgend area within 3 working days of ordering. Our blinds specialist in Bridgend, will arrive during the time slot you have chosen to measure up and talk you through the range of blinds available for your home. Your appointment will last approximately 30 mins and our blinds specialist will be happy to answer any questions and offer you any advice you need. 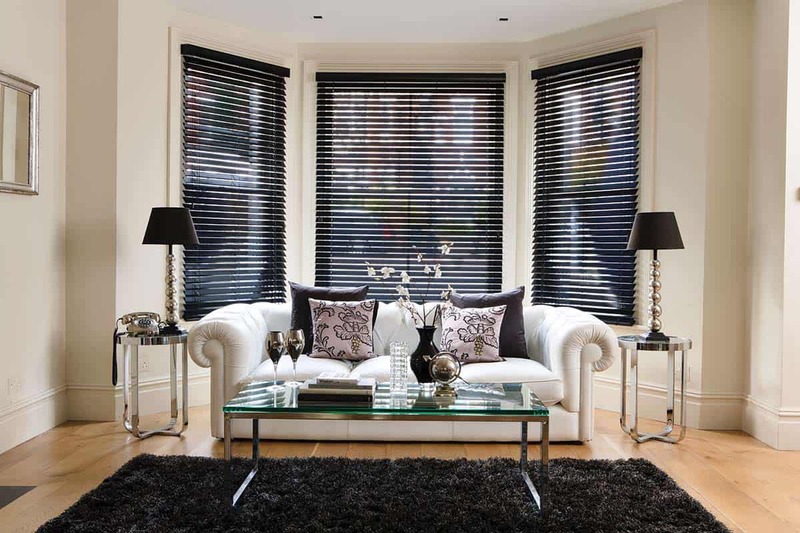 Choosing the best blinds for your home in Bridgend. It’s a wise move to rely on experts of window treatment companies if you plan on getting new blinds in Bridgend for several reasons. First and foremost, window treatment specialists, especially from 3 Blinds Nice, can guide you through the latest styles and present you with the best options in order to increase your home’s value while working with the budget that you’ve set for your new home addition. However, not all window treatments operate with the same standards. This means it’s essential that you know how to spot a good company from one that’s unreliable. When hiring professionals for made-to-measure blinds in Bridgend, you need professionals who are updated on the latest trends not just style-wise but also on technological innovations that boost the functionality and safety of window treatments. The professionals from reputable companies will also present you with on-trend materials or fabrics that are sure to freshen up your home. Deal with the window treatment company that offers you with premium products and not ones that are cheap and imported. A reliable service provider is capable of presenting you with a range of quality options. Of course, the selection that’s offered must cater to your budget requirements. An experienced window treatment company knows that you would need samples of their products. Through samples, you know exactly what to expect if you make an order and you will have an idea of whether or not your new blinds will fit your existing decor or not. Remember: only work with companies that offer samples of materials or swatches of fabric, especially if you will be making an upfront payment. Industry professionals that back up their services and products will guarantee your satisfaction. It’s, therefore, essential that you choose a company that’s fully committed to satisfying your needs and wants. Choosing the right kind of blinds or shutters is just half of the job. Your window treatment specialists should also cover the measuring and installation of the products for you to ensure that your new purchase looks the best and operates as intended. What really sets reputable window treatment specialists apart from their competition is their valuable skills and experience. A company that has been treating windows for years is qualified in handling design challenges. As the experts have gone through several different situations including difficult ones, they are more likely to offer sound advice, especially regarding functions and styles of shutters and blinds in Bridgend. For the best custom shutters and blinds in Bridgend, trust the experts of 3 Blinds Nice to meet your budget, decorating, and privacy needs. All our products and services reflect our 100% commitment to giving homeowners the best value. If you want to know more about how we can help make your home more livable, call us for a free consultation and quote! Blinds that are equipped with additional features for your home in Bridgend. It’s always a good time to make design upgrades to your home interior. An important consideration for any home in Bridgend and the surrounding areas is the quality and condition of window dressings. If blinds are getting worn, it’s probably high time to get a replacement. By switching your existing horizontal blinds with vertical ones, you will instantly freshen up a room’s look. Making a swap can also improve the look of a home’s exterior, as well as keep kids safe. As you’re reading this page, it’s very likely that you are contemplating about getting new blinds. Here are some of the signs that can justify your purchase of new blinds in Bridgend. If the basic mini blinds or curtains you use throughout your residence are old, you would notice that your entire home appears outdated as well. This is because window treatments are one of the first things that people see when they enter a room. The simplest and quickest way to update your home’s look is by changing the blinds. With custom, high quality blinds, you don’t have to change your furniture and furnishings, which cost more than simply changing the window treatments. Regardless of the design you want from your new blinds, you’ll be able to find the ones that match or complement your home’s existing style if you seek the guidance of the professionals here at 3 Blinds Nice. To give you an idea on the latest trends on window treatments, modern spaces are best added with faux wood coverings that are in cherry, butternut, and acorn colors, bamboo styles, and stained basswood blinds. For traditional spaces, we recommend fabric verticals, cellular blinds, and classic privacy blinds. Over time, light-colored blinds turn yellowish. If they’re made of low-quality materials and given a poor construction, they will show surface stains and dirt. The blinds may fade as well. In such case, it’s most definitely time for you to swap out the blinds. To prevent fading and yellowing in the future, select a style that’s in a dark shade. As a bonus, they look chic and stylish! While some blinds bend or break quicker than others, all coverings degrade. Not a single one is immune to damage. To make your home look appealing, get a set of replacements. In order to save money in the long run, purchase blinds that are durable and reliable. Vertical blinds are long-lasting and they keep the light out. Blind cords fray after several years, which would cause them to fall or break the next time you use them. For security concerns, exchange those worn blinds with fresh ones. Talk to us today if you’re interested in getting cordless blinds, especially if you have kids and pets as the cords can pose as a hazard in your home. Various styles are cordless including the classic blinds, pleated ones, as well as the cellular kind. If you search for custom blinds online, you will be met with a seemingly endless number of beautiful combinations in terms of colours and materials. Products like vertical blinds, zebra shades, and Roman shades may be familiar to you as they have managed to retain their popularity, but some of the most beautiful and easiest to pull off are wooden blinds in Bridgend. These window treatments, including their faux counterparts, provide texture, effective light blocking, and the maximum warmth, regardless of which room they’re placed in. 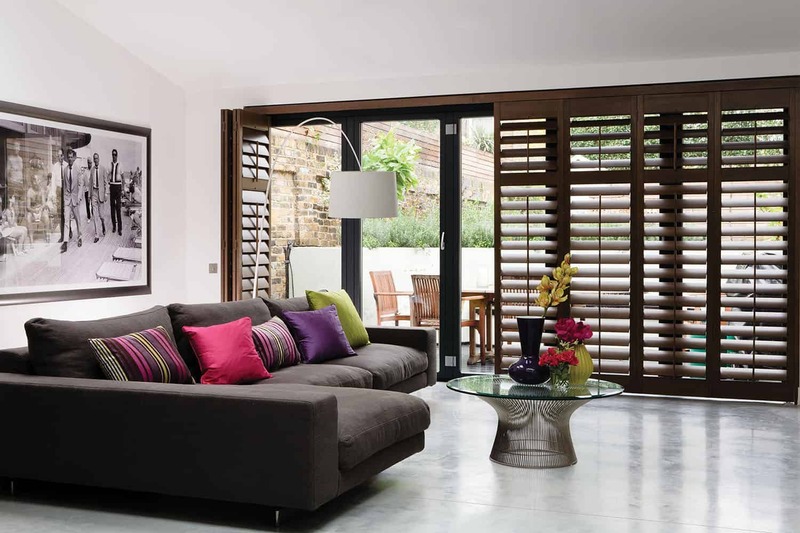 Shopping for shutters and blinds in Bridgend has become easier and more enjoyable than ever. But, before you decide on a custom design, it would be helpful if you understand the minute differences between real wood and the faux types. We will provide you with all the info you need about the two most sought-after blinds materials. Blinds in Bridgend that are made of natural wood come in several different forms. A popular type is basswood as it’s preferred by lots of custom blinds manufacturers for its workability. This type of wood is also flexible and light, which can be credited to why it’s easily converted into slats of blinds of varying thickness. Other types of wood that are used in making shutters and blinds in Bridgend include walnut, cherry, and oak. Window coverings that are made of real wood are durable. They’re even capable of withstanding the test of time. • Real wood blinds and shutters are built using materials of the highest quality. They are incredibly strong and durable, which is why they’ll last decades. The blinds will often come with lifetime warranties to offer homeowners with a peace of mind. Dense wood offers your household maximum privacy and light control. • Authentic wood also offers an increase in energy efficiency as less heat and light comes inside a home, saving lots of money on heating and air conditioning bills. • Natural wood is most definitely attractive, but slats of blinds can warp or swell when they are added in moist or humid areas like bathrooms and kitchens. While they’re made to mimic the appearance of natural wood, blinds that are made of faux wood are made of composite, PVC or vinyl. Composite ones contain real wood at their core, but they’re coated with protected polymer. Just like real wood window treatments, faux wood can be corded or cordless blinds. If what you want are the most stylish blinds, then your best option is faux wood as the blinds come in colours that can match any home interior and exterior. • Faux wood blinds offer the earthy, stunning look of real wood while eliminating concerns regarding moisture and humidity. They are strong and durable like real wood if they are made using high-quality materials. If you opt for faux wood treatments, make sure they meet safety guidelines for children. • Faux wood may look like natural wood, but there’s still no substitute for high-end, genuine wood. The material can’t be re-stained as well, so you’d need a new set if you want to change the colour of your blinds. If you still don’t know which type of material is best for your home and needs, don’t worry. Just give us a call and we’ll help you make the right decision! 3 Blinds Nice Bridgend provide quality made to measure blinds in the Bridgend and surrounding areas. We offer the full package; blinds measuring service, blinds manufactured to your spec and measurements, blinds fitted for free and a 12 month guarantee service.